The Valentine Event is kicking off in today’s update with this year’s edition of the sizzling [Where’s the Chocolate?] EQ. Cool off with the new Limited Quest at the Floating Facility and collect weapon badges to trade at Xie’s exchange shop. See the Bingo tab above for a guide on its objectives and rewards, and the Client Orders tab for a listing of Xie and Nagisa’s orders. This week’s es-Emergency Quest has been suspended due to a bug that occurred around 19:50 JST on February 9th. They plan to distribute items such as Rappy Medals, OP Meds, and Bonus Points as compensation for the suspension. 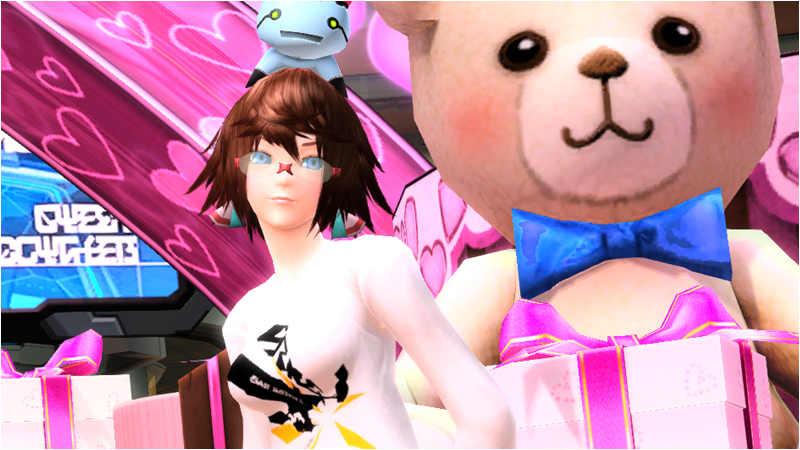 More details will be posted to the PSO2es Guide after maintenance has ended. 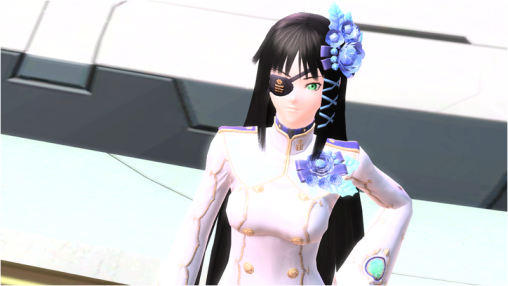 The Live Broadcast returns for another Phantasy Star Festa event, this time taking place in the city of Osaka. Viewers can expect to see new features like the Gathering update that was announced in the previous broadcast. Other new features slated for Spring will be revealed as well. The stream will also provide the latest information on the PS4 version, the PSO2 Anime, and part 3 of the ARKS Café Festa Special menu! In addition, the ARKS Grand Prix: Osaka Tournament will be streamed live where players compete for the fastest times on the Vita and PC. The Cosplay Show and the Mini Arks Dance Festival, which have been a staple to the Festa Broadcasts, will make their appearance as well. You can watch this stream live on Nico Nico on February 20th @ 13:00 ~ 18:00 JST. Profound Invasion will now deliver [WEAPONS Badge Gold 2016] upon clearing the quest on Extra Hard. 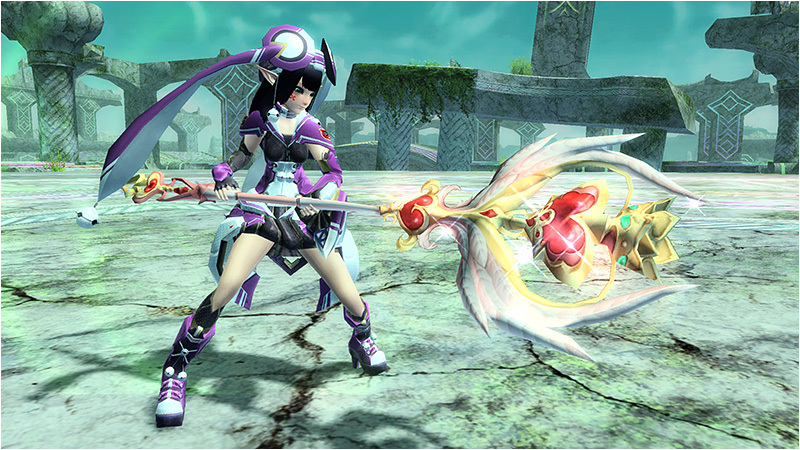 Falz Angel appearing in the new Limited Quest will drop ★13 weapons based on your class on Extra Hard. This change will also apply if Falz Angel is above a certain level even in quests outside of the Limited Quest. However, this change is in effect only for the duration the [Chaotic Darkness] quest is implemented. The next question will be announced on February 20th around 11:00 AM JST. Celebrate Valentines with campaigns and boost events. February 12th ~ February 16th @ 23:59 JST. +50% EXP / Rare Drop / Rare Enemy Rate for [Where’s the Chocolate 2016] emergency quest. Prizes will be distributed Late February at the Visiphone. 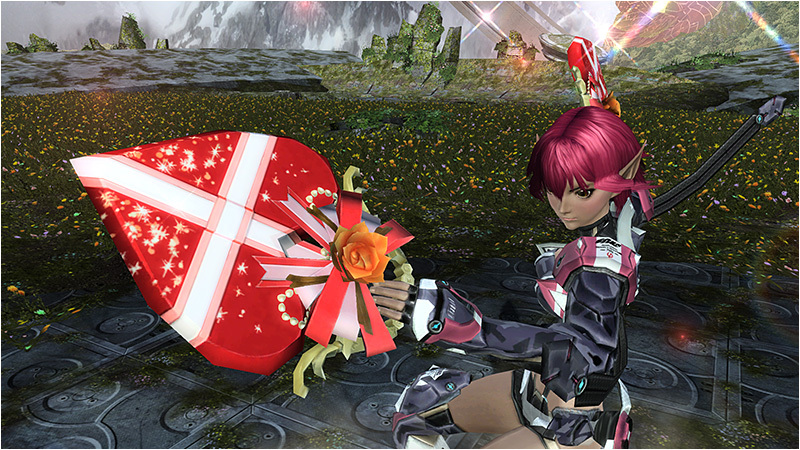 Use the hashtag “#PSO2_大喜利” and tweet out some dialogue related to the topic of the image of Risa for Valentine’s Day. You can click the button beneath Risa at the campaign’s official site to participate. Rewards can be retrieved Late February at the Visiphone. Still no fix for magatsu? God help Sega if they STILL don’t fix Magutsu…. Because you have some kind of incompatibility thing going in your system. I wouldn’t know, it works fine for me. I had this same issue, the tweaker’s downloading 8841 files that’s all the whole ep4 update. I have no choice but to go walk the dog, take a nap, learn Japanese in the meantime .